GLOW is officially returning to Netflix for a second season. Netflix announced that the show had been renewed last night, with another 10 episodes set to be produced. The first season's run was also 10 episodes, and the renewal comes after the comedy-drama series received overwhelming praise from television critics upon its release in June. 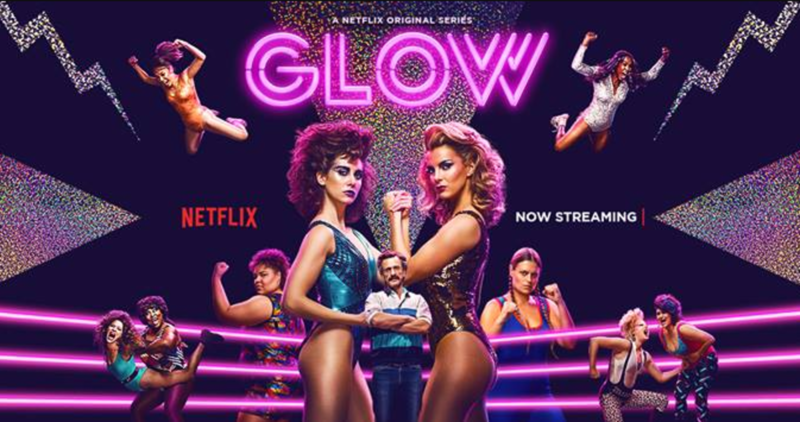 GLOW was created by Liz Flahive and Carly Mensch and is based on the 1980s women's wrestling promotion of the same name. It stars Alison Brie, Betty Gilpin, and Marc Maron in key roles, with Kia Stevens (who was known as Awesome Kong and Kharma in pro wrestling) also part of the series as a cast member. There was more involvement from others in wrestling as well, with Chavo Guerrero Jr. working as the show's fight coordinator and several wrestlers making cameo appearances. Our Chris Aiken detailed those in his review of the first season.